HOME DZINE Home Improvement | Move Out or Add On? Move Out or Add On? With a growing family, there comes a time when a home might become a bit of a squeeze and you need to decide whether to buy a bigger house, or extend the one you live in. If you live in a nice neighbourhood, close to amenities and schools, you might not want to move if everything is close at hand. Moving could mean that children have to change schools, traffic to work might increase travel time, and so many other different factors. When this is the case, give some careful thought to whether moving is in your best interests, or if adding on might not offer a better - and possible far more affordable - solution. The location of your current home could make a difference to the cost of moving versus adding on. Adding on extra living room can dramatically change the available floor space in a home. The cost to add on or extend varies widely relative on what kind of addition you decide to build, and how large the construction. 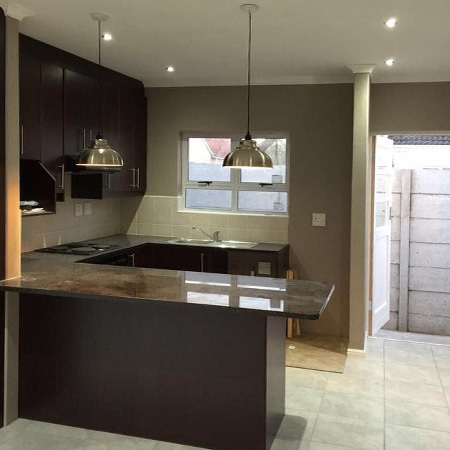 At the beginning of 2017, the average cost to build works out at between R8 000 to R12 000 per square metre, depending on location and type of finishes. The only way to accurately determine the cost is to have quotations submitted for the work to be done and research costs relating to architects or structural engineers (if required). 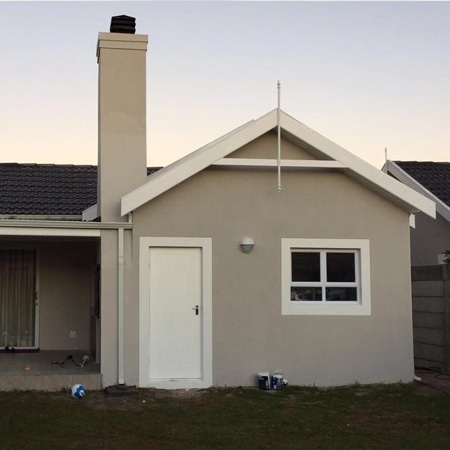 Having said that, it is always wiser to err on the side of caution and allow extra funds for any building project, since what is quoted and what you eventually have to pay can differ immensely. 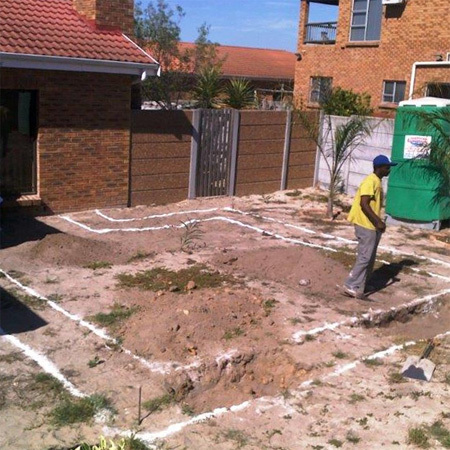 Build Aid Consulting have an article that succinctly explains the square metre rate - see buildaidconsulting.co.za/square-metre-rate/ - and why you shouldn't count on this cost as a fixed rule. 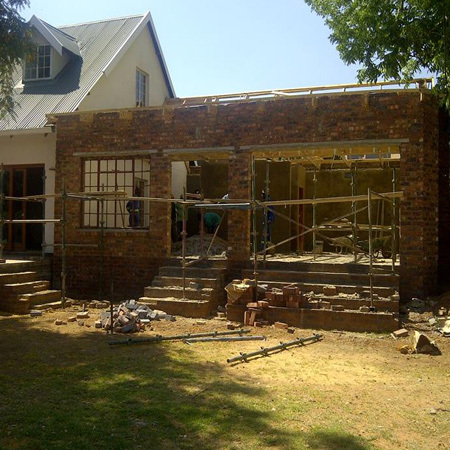 When adding on it is essential that your design and build be of a high standard of workmanship. 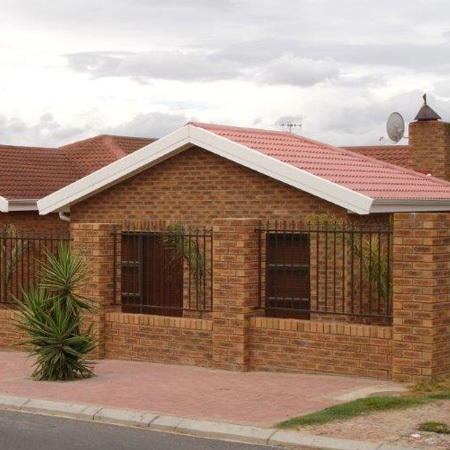 Poor quality could end up adding little or no value to your property. Even a small extension will free up valuable floor space or a larger kitchen, extra bathroom or bedroom, or increased living space. By adding on you are saving on the cost of the land - which you already own, transfer duty and agent commission to sell, costs related to buying a new property, expenses associated with packing up and moving, and the personal upheaval of having to move. 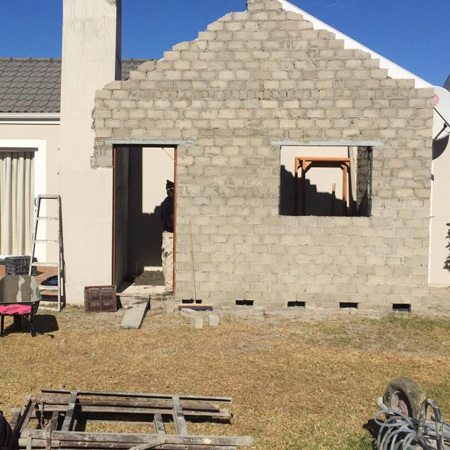 • Expect a disruption of your day-to-day living when construction begins. Make no mistake - there's going to be mess. If you plan for this in advance it will have far less impact. • Call in a reputable construction company to get the job done properly. 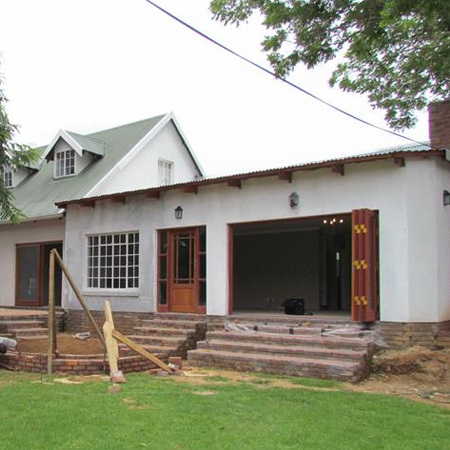 You want the finished job to add value to your property. Always ask for  references, and take the time to check these. 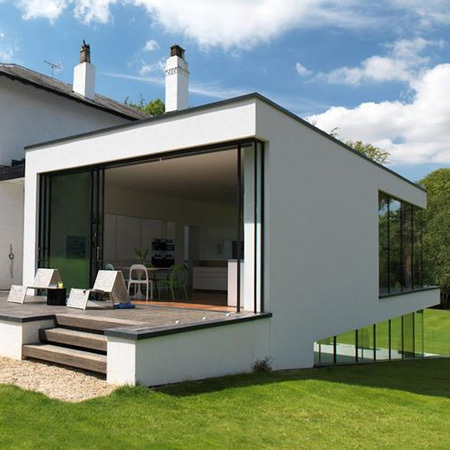 It's always a good idea to ask around if anyone can recommend an architect and/or builder. • Work with an architect or designer to ensure your add on matches the architectural style and feel of the existing house. These guys are the expects at designing homes and might come up with ideas that you hadn't even thought about. • Consider what improvements would work best. An additional bathroom or kitchen extension are generally good investments. 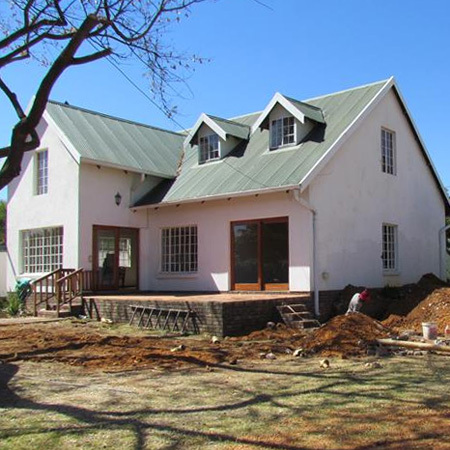 Also, factor in the possibility of a double-storey extension if a substantial addition is necessary, so that suitable foundations can be laid from the onset. • Look at the options for adding on and decide whether it would be cost effective to build out or build up. Loft conversions are an alternative way of enlarging a property, and a loft conversion requires less planning and work than mortar and brick construction. When deciding to add on, research property prices in your area. You don't want to overvalue the property and not be able to recoup any investment later on when you decide to sell up.